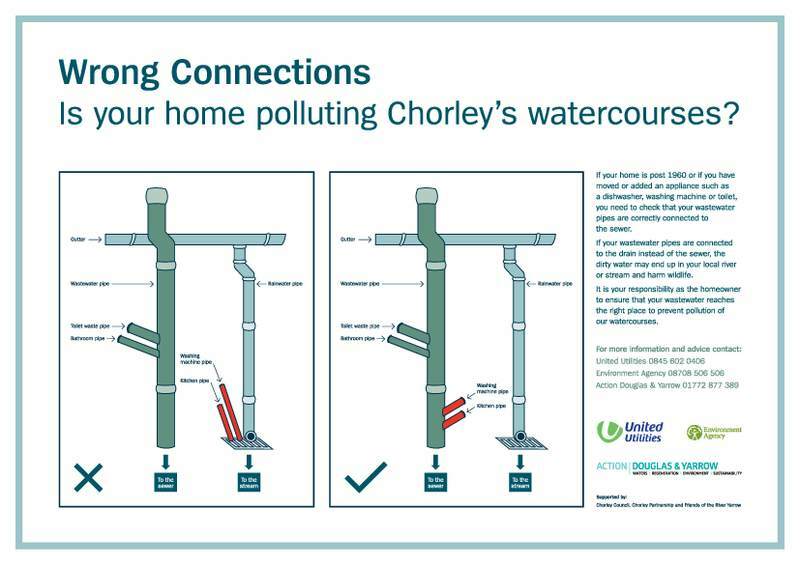 Mersey Basin Campaign Blog: Is your home polluting your local river? Is your home polluting your local river? Out of sight, out of mind. Many of us don't give much of a thought to where the water ends up if we flush the loo or use the dishwasher. We assume that it makes its journey to the treatment works so its safe for us to use again. If your water using appliances are connected to the rainwater drain instead of the wastewater drain then your dirty water could end up in your local river and cause harm to your local wildlife. This is called a Wrong Connection. Action Douglas and Yarrow has been working on a poster campaign to raise awareness of this problem within the Chorley borough.